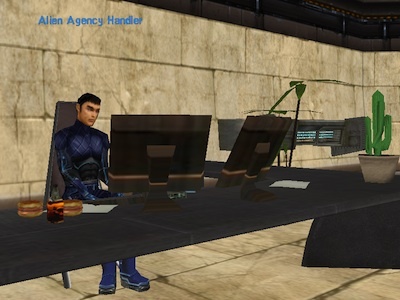 Freelancers Inc. have problems with some alien activity around and above Rub-Ka. They are glad if you could help them and are offering jobs with immense rewards! Just follow the signs to one of their Mission Agencies and talk to the Alien Handler. 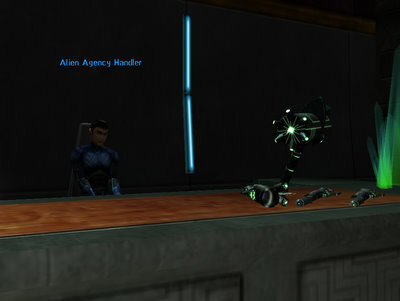 The Alien Handler asks you if you would like to face the aliens alone or with your friends. Please note that you will not get a team mission in the sense of RK missions or SL missions where you would recieve a mission key and can update the mission status of your team mates. Everybody of your friends (teamed or not) who wants a mission reward must pull the mission from the Alien Handler. 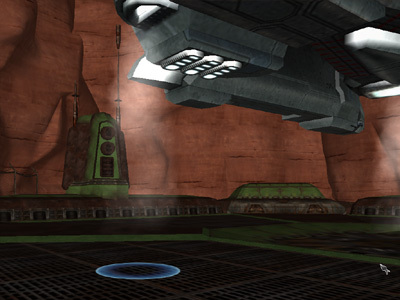 If you are strong enough (doing city raids solo and playing hide & seek with aliens in Arid Rift all the time) you can also do one of the team missions solo. You don't have to be in a team in order to pull them or get the reward. The amount of AXP you'll get from each mission (solo or team) depends on your current AI level. The following table shows the AXP you need for each AI level and the AXP you will get from the dailies. 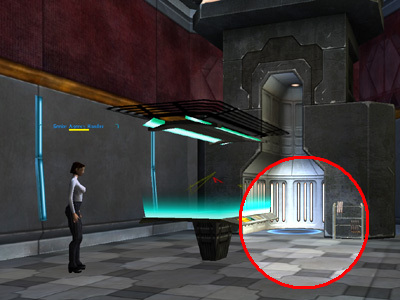 There is a transporter in the Agency building you can use to get to the Unicorn Outpost if your solo/team AXP daily mission is in an APF, Arid Rift or has a mission entrance in the Unicorn Outpost. Portal from the Omni Agency to the Unicorn Outpost. 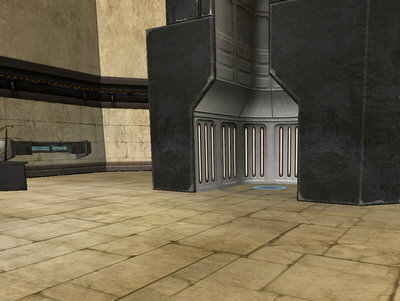 Portal from the Clan Agency to the Unicorn Outpost. 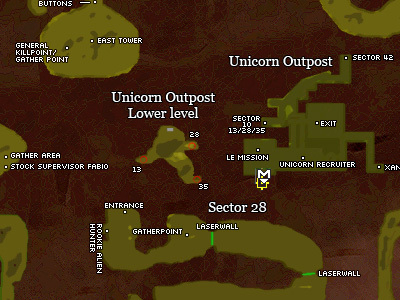 Some solo AXP missions have their entrance in the Unicorn Outpost by a ship near the one related to LE missions. 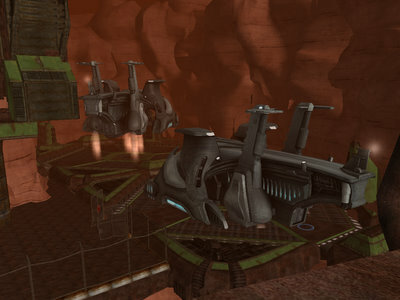 The transport shuttle for the various alien daily missions is on the left. There is a transporter beam directly below the shuttle.